Are you in the market for a concrete pool? With so many pool types and companies available, it can be difficult to find unbiased, thorough information. Here at River Pools, we sell fiberglass pools exclusively, but we understand a fiberglass pool may not be the best fit for everybody, and many pool shoppers might find a concrete pool to be the best option for their situation. However, concrete pools comes with their own unique set of problems, and because a pool installation is such a big decision, we want to ensure you have the full picture. Here are 10 of the most common problems for a concrete pool—and how you can avoid them. Concrete pool surfaces are rough. If you have kids, you may want them to wear water shoes in the pool. (Most parents find this necessary.) Exposed surfaces such as Pebble Tec are rougher than plaster. However, the surface can become excessively rough due to rising pH, excessive crazing, delamination, or negative environmental conditions. This creates issues such as pitting and calcium nodules. Sanding, shaving, or acid washing can resolve this problem, but the surface will need to be replastered if the roughness returns. A structural crack means that the concrete pool shell itself cracks, as opposed to a basic surface crack. This problem is usually caused by incorrect design or construction. The pool must be engineered properly to withstand unstable or expansive soil, and then it must be built as specified. If the design is engineered incorrectly, or if the pool is not built according to the design, concrete pools may structurally fail and leak water. A craze crack is a light surface crack due to shrinkage. Although this doesn’t leak water, excessive crazing can cause further problems (such as staining, algae, and calcium nodules) and may need to be replastered. Improper levels of pH, alkalinity, or calcium may lead to scaling—buildup/deposits of calcium or other minerals. This includes etching and calcium nodules, which can form in drips or mounds. To avoid scaling, you should brush the pool walls regularly, pre-dilute acid before adding it to the water, only add salt after 30 days of plastering, and not allow salt to sit as a solid on fresh plaster. Because plaster is porous, it stains easily. This can happen because water-line tile is not installed, there are pauses while the pool is being filled, the plaster is incorrectly troweled, or the water chemistry is imbalanced. To avoid imbalanced water, test the water at least once a week and, if needed, adjust the chemical levels. Be sure that the pool is filled continually and that you have installed tile along the water line. The discoloration can be removed by acid washing but may return later. A spall is a thin layer (1/8 inch or less) of the plaster surface that flakes or peels off, usually from the bottom side. This happens due to over-troweling the surface, improperly timed troweling, or adding too much water while troweling. The spalled area will need to be sanded or, if it’s a large area, replastered. Anything can float with enough water pressure pushing on it. Of all types of pools, concrete pools are the most likely to float. 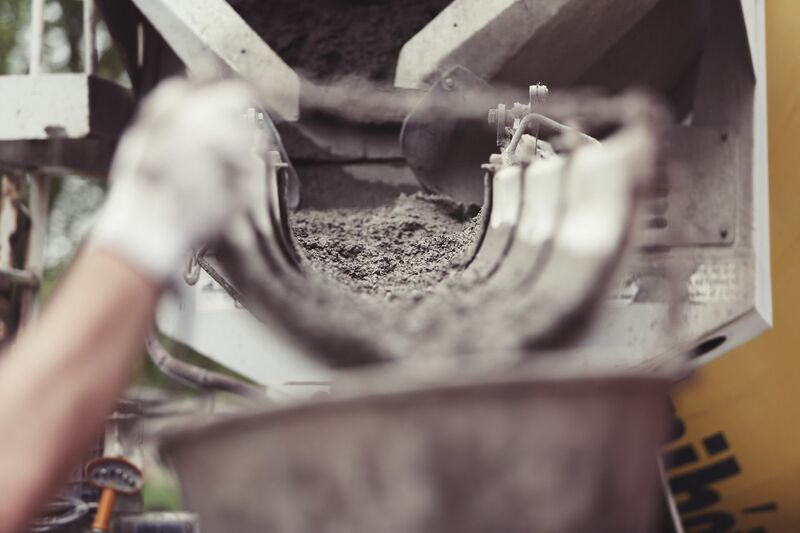 Although it’s not a pervasive problem, an entire gunite shell can lift and float. This can be avoided by installing and maintaining a hydrostatic valve. A patio is only as good as the base that’s supporting it. For example, if the yard is on a slope and a patio is built where the pool sticks up out of the ground, they may use dirt as its base. It may not be good enough dirt to withstand that load, or they may not compact it properly so that it’s structurally sound. In this case, if the material around the patio moves, it causes the patio to move. You can prevent this by building a retaining wall and using stone instead of dirt as the base. When a concrete pool develops plumbing leaks, you have to tear out the area that the water leaks under, which could be concrete or the patio, in order to fix the leak. One way to prevent leaking is to pressure test the plumbing and to ensure the plumbing is installed securely. However, a leak could still develop if the pool or patio moves. 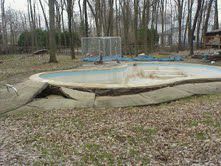 Compared to other pool types (especially fiberglass), a concrete pool requires significant time and money to maintain. Every 10–15 years, it needs to be replastered, which costs $12,000–$20,000 on average. The pool also uses more electricity and chemicals on a daily basis. For more detailed information on this, you can read this article on concrete pool costs and watch this Trouble Free Pool forum. We hope you’ve found this information useful and wish you the best on your journey to find the perfect pool for your needs. River Pools manufactures and installs fiberglass pools, and if you want to learn more about how concrete stacks up against fiberglass, you can also read this article briefly comparing the three pool types or download our ebook. Editor's note: This blog article was updated on September 28, 2018.